Our Vertical Injection Moulding Machine is basically designed for molding of all kinds of Plastic raw materials. 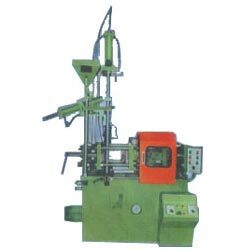 The Vertical Injection Moulding Machines, which we manufacture and supply, are precision engineered which assures its longer functional life. Owing to its rugged construction and easy handling, this Vertical Injection Moulding Machine is highly acclaimed by the clients. 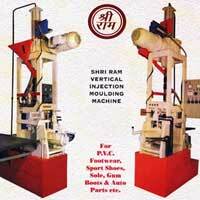 This Deluxe Vertical Injection Moulding Machine (600 VRT) is a sophisticatedly designed machinery. This machine is widely known in the market for its low power consumption. The clients appreciate this machine for its longer functional life. Avail from us energy efficient Super Deluxe Vertical Injection Moulding Machine (800 VRT) that is highly acclaimed by the clients. This machine has a longer functional life. 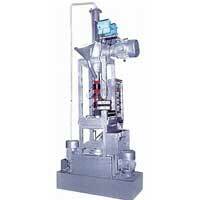 We use precision engineered technology in the manufacturing of this machine. Manufactured with an efficient use of proven technology, this Vertical Injection Moulding Machine (1000 VRT) is highly reliable in nature. This machine is easy to operate and handle. Clients admire this machine for its low power consumption feature. We bring forth an exceptionally designed Airmax Vertical Injection Moulding Machine that is known for its rugged construction. 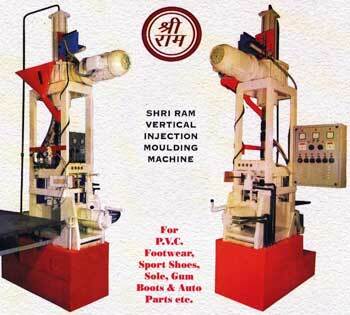 This Airmax Vertical Injection Moulding Machine is energy efficient and ensures a longer functional life. 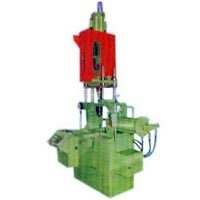 We are one of the leading Manufacturers and Suppliers of Vertical Screw Type Injection Moulding Machine from New Delhi.